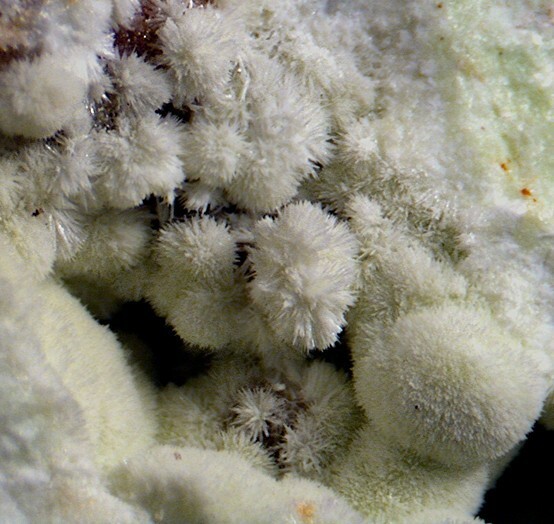 Ca-bearing Pyromorphite: Mineral information, data and localities. 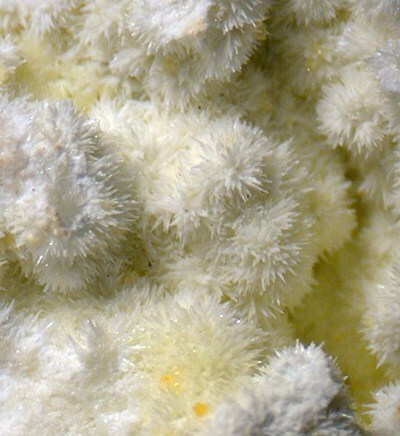 A "calcium-bearing variety of pyromorphite", although samples from several occurrences are now known to be in fact the species phosphohedyphane. Pyromorphite 5 photos of Ca-bearing Pyromorphite associated with Pyromorphite on mindat.org. Phosphohedyphane 3 photos of Ca-bearing Pyromorphite associated with Phosphohedyphane on mindat.org. Vanadinite 1 photo of Ca-bearing Pyromorphite associated with Vanadinite on mindat.org. 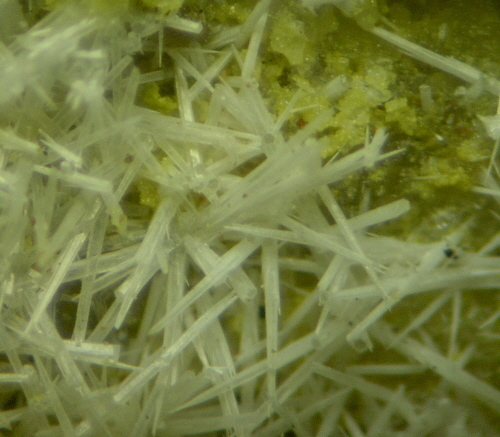 Kidwellite 1 photo of Ca-bearing Pyromorphite associated with Kidwellite on mindat.org. Breithaupt, A. (1832) Vollständige Characteristik etc., 2nd. Edition: 54 (as Polysphaerit). Breithaupt, A. (1841) Vollständige Handbuch der Mineralogie, Vol. 2: 285 (as Miesit). Habermann, V.: Stříbrské miesity. Minerál, 2001, roč. 9, č. 5, s. 361-363.